Dasyn joins HandMade Japan, which will open on July 22 to 23 at Tokyo Big Site. 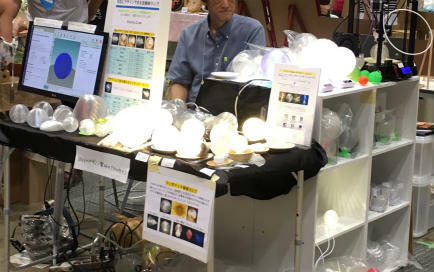 and Maker Faire Tokyo (MFT) , which will open on August 5 to 6 also at Tokyo Big Site. 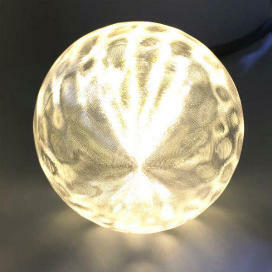 Dasyn will exhibit and sell bulbs and lamps with sparkling 3D-printed shades. Three types of lamps, i.e., ones for AC 100 V, ones for DC 12 V, and ones for coin batteries, are displayed. Interior products for USB power are also displayed. The printing method for these shades and stands, i.e, the helical 3D printing method, will be demonstrated by using two 3D printers.